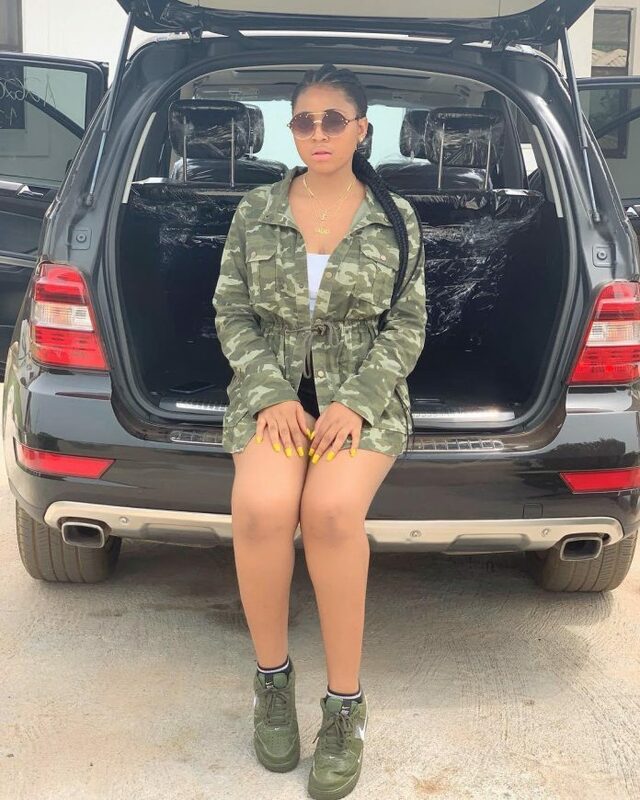 Regina Daniels has just copped for herself a multi-million naira Mercedez Benz ML 350 a year after buying a Luxurious Lexus Ride. Check on the photos below; This is coming after she threw in her support for PDP Presidential Candidate, Atiku Abubakar where she wrote; I’m Regina Daniels. Proud to be 100% Atikulated with Atiku Abubakar who is in the race to become Nigeria’s next President. I accept my appointment as Youth Campaign Coordinator For Nollywood with humility and youthful zeal. Atiku is a youth-friendly leader who has assured that every 4 out of 10 of his cabinet will be a youth. It can’t sure get any better. The incumbent called President “Bubu” is a myriad of lies, inuendos, deceit, incompetence, tyranny, inability, inadequacies, glaring misfit and the downright collapse of the basic structure of the Nigerian society. The drift is brazen. The nation is at crossroads. The land bleeds from hunger and inertia. It’s time to steer the ship away from caput. From Bama to Bori, Aba to Abuja, kaura Namode to Kaduna, the sky is gloomy. Time for Nigerian Youths to join me and vote Atiku/Obi 2019 to protect our future.